LONDON (AP) — FIFA will still decide the host of the Women’s World Cup in secret, unlike the new open vote held last year for host of the 2026 men’s tournament. The 2023 Women’s World Cup bidding process was launched Tuesday, and FIFA adopted many of the rigorous checks and scrutiny that prospective men’s hosts now have to go through. But the final decision is a very different process. Following corruption investigations into the vote for men’s hosts in 2018 and 2022, FIFA removed the decision from its ruling committee and gave it to all member associations. When it came to deciding the 2026 men’s hosts last year, the votes were made public after the FIFA Congress chose the joint bid from the United States, Mexico and Canada over Morocco’s entry. FIFA trumpeted that “not a single decision is guarded away from public scrutiny” in men’s World Cup hosting. But in March 2020 it will be the FIFA Council, a group of 37 people which meets in private, deciding where the women’s top players will compete in 2023. “FIFA’s statutes explicitly stipulate that the selection of venues for the final competitions of all tournaments rests with the FIFA Council with the exception of the FIFA World Cup, where their power lies with the Congress,” world football’s governing body said in a statement to The Associated Press. FIFA asked countries to make an expression of interest in bidding by March 15, complete the bidding registration by April 16 and submit bid books by Oct. 4. 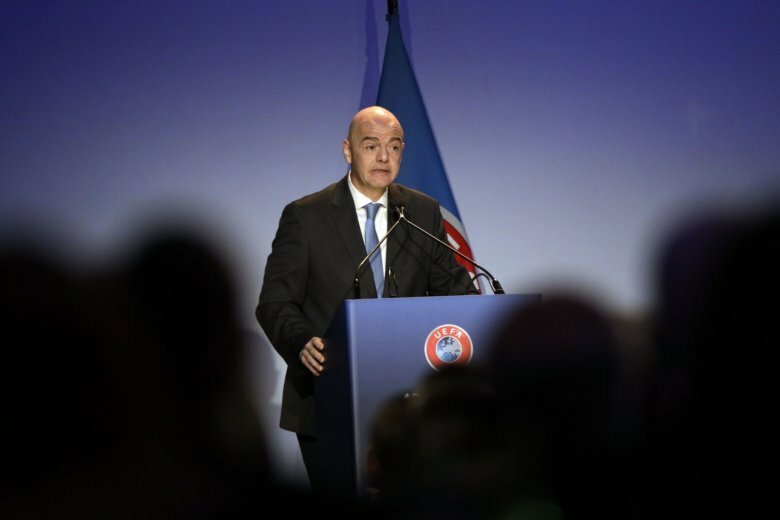 No mention was made of bidders having to go through the key procedures, described as “bulletproof” by FIFA President Gianni Infantino, that were required of 2026 World Cup contenders. Those included an assessment of human rights and risk reports for the countries, the publication of bid books, inspections of facilities and evaluation reports. After the AP asked why these criteria and process were not listed as being in place for women’s World Cup bidding, FIFA said it would be emulating those aspects of the men’s showpiece hosting requirements. “It’s good to see that, as with the 2026 FIFA World Cup bidding process, that human rights criteria are included, and that the bid documents, including the human rights strategy, is made available publicly,” said Centre for Sport and Human Rights chief executive Mary Harvey, who won the inaugural World Cup in 1991 as a United States goalkeeper. Australia, Colombia, Japan and South Africa have already expressed an interest in bidding for the event in 2023. Australia and Japan both reiterated their intentions with statements on Wednesday. The Japan Football Association had a similar response. “By hosting the FIFA women’s World Cup 2023, we hope to enhance the attractiveness and the value of women’s football from Japan,” JFA President Kohzo Tashima said. The next edition is this year in France from June 7 to July 7, when the United States will be defending its title.